I guess most of the girls are quite concern about the hygiene and environment of a saloon/spa. 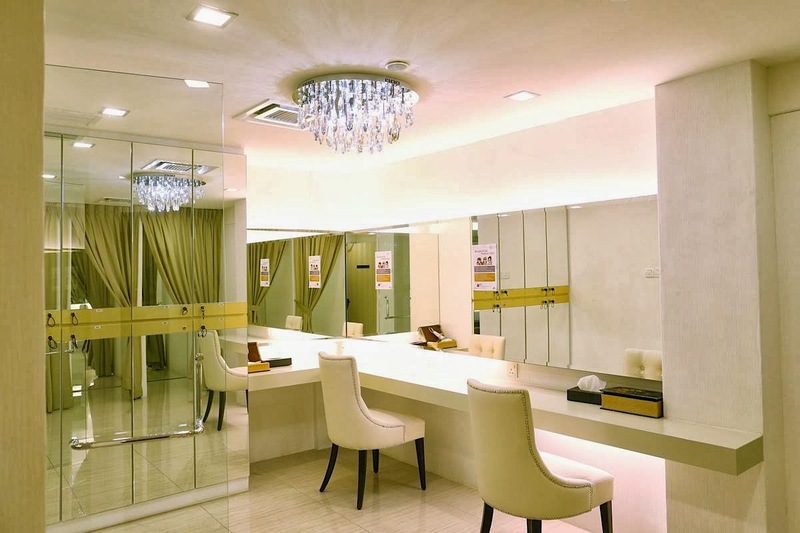 A soothing environment is a must when it comes to the choice of saloon as it is a plus point for any of the saloons. Busy life and hectic schedule in Klang Valley are seriously adding burden on our skin! Heavy workload, busy with studies or even other reasons! Thanks to MHB and Beaute Library! I was granted a chance to visit one of its outlet which is located in USJ! I was amazed with its nicely-decorated and well-kept interior, modern yet luxurious. Of course, the most interesting part about this trip to Beaute Library is to preview on their newest treatment called the Beauté Cool Light therapy. 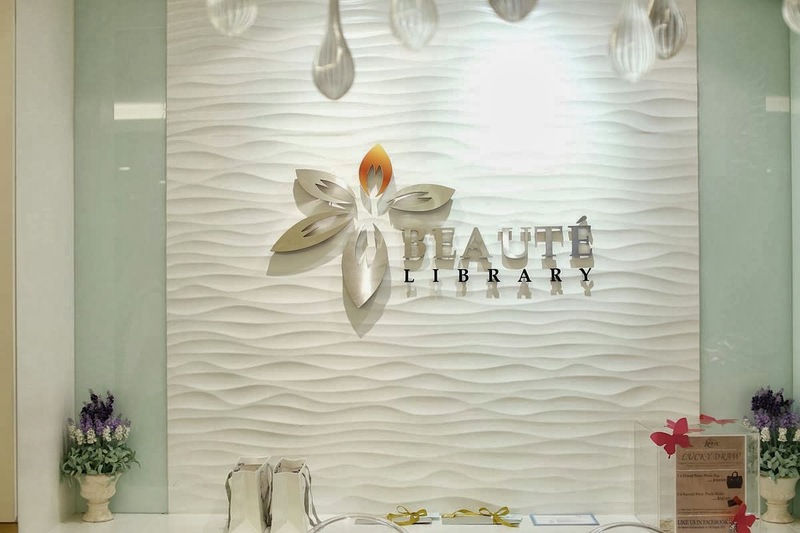 Beaute Library recognises the need and want of women in indulging themselves with comfortable spa experiences while juggling between their busy lifestyles. Beaute Library addressed this need by hiring a group of well-trained professional beauticians with more than 20 years spanning across various beauty disciplines who are serious about delivering the best comfort and results to customers. 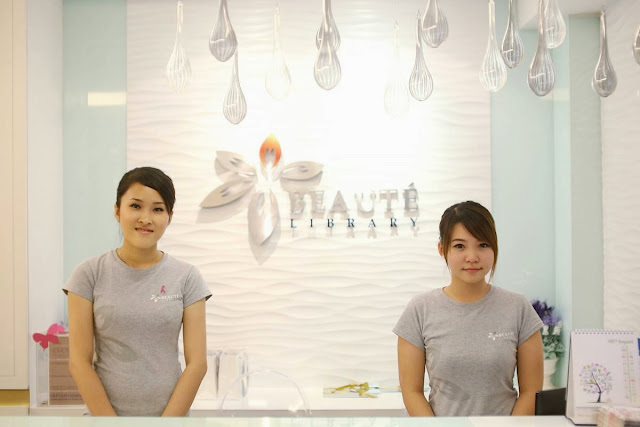 The Beaute Library continues providing the high quality services because they believe that every customer is their brand ambassador, besides their spokesperson, Lynn Lim. They want to give their best to the customers. Therefore, they strive to provide customers with 5-star experiences and their body and facial specialists will help analyse each individual’s needs and design a program unique to each customer. The Beaute Library, just celebrated their first anniversary and currently has four (4) lifestyle centres spread around the Klang Valley and more centres to be opened in future. The first step into this centre gave us the feeling of modern with luxurious touch while being greeted by the friendly staffs. Beauté Library uses the latest state-of-the-art technology and natural ingredients in designing its products and treatments, customizing them according to the customers’ needs. All Beauté Library products are from Paris, without any harmful chemicals and fragrances, and are formulated from plant extracts for Asian skin. It is good for my skin as I have a very sensitive skin type which really bothers me a lot at times. We had nice spread of food and now, it's time for a tour. This is one of the VIP Treatment rooms. It has a shower room and a bathtub for you to shower/ bathe during your visit. 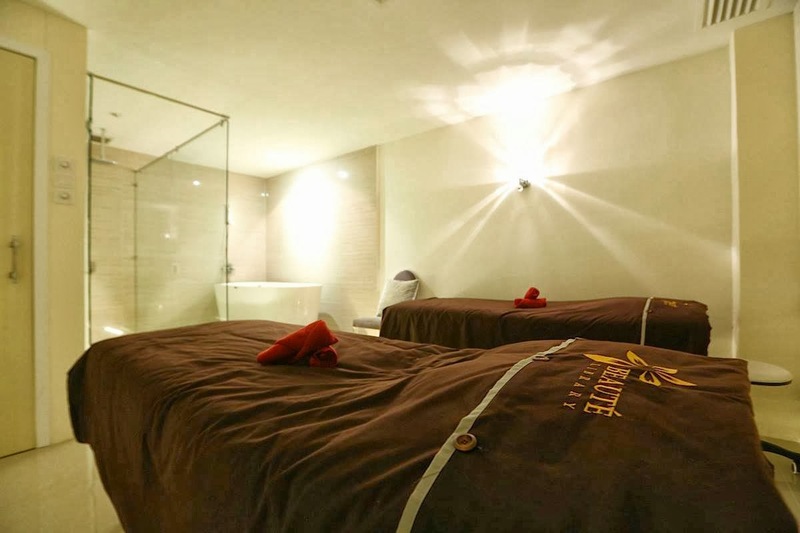 The treatment rooms are clean and comfortable because they strive to help their customers in achieving their wellness goals by allowing their customers to lie down and relax while letting the Beaute Librarians to conduct the treatment on them. The Beaute Librarians are carefully selected and equipped with the latest knowledge, skills and state of the art technology to provide you with professional and customised solutions to suit your every need because different people with different needs and wants. Mei Sze is playing Beaute Librarian while Adrienne relaxes on the comfy bed. After your session you can shower or even take a steam bath. The powder room includes lockers and cubicles for changing. It’s well equipped with hair dryers, tissue paper and large mirrors. After the tour, it is time for a live demo on one of the bloggers, Kay! 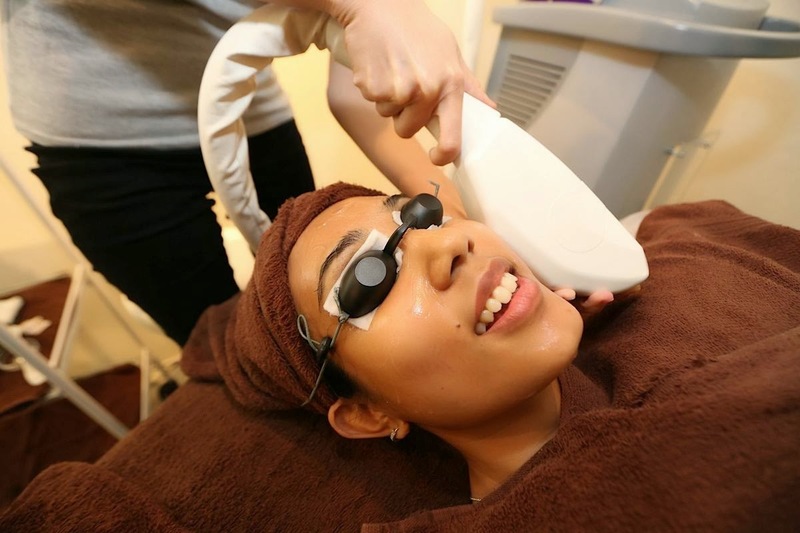 The Beauté Cool Light therapy is the first of it’s kind in Malaysia and is a painless cool therapy and it’s utilized in two of Beaute Library’s signature treatments namely the Beaute Cool Light Permanent Hair Removal Treatment, and the Signature Intensive Beaute Cool Light Collagen Facial. She volunteered to try to Skin Lifting treatment. Beauté Cool light combines three advanced technologies: Bipolar Radio Frequency + IPL +Skin Contact Cooling. Beaute Cool Light Systems release precisely controlled strong pulses of filtered light that are absorbed by the melanin in freckles, sun spots or liver spots. The pigmented area absorbs the light and is heated, and is removed by skin renewal. Following treatment, the pigmented area turns darker and may crust. Over the following weeks the pigmented area will gradually flake away from the skin leaving little trace of the original mark. The collagen molecules penetrate into your skin to slow signs of ageing, improve elasticity, gives you a more even complexion, enhances your skin’s moisture level, oxygenate and protects the skin’s natural collagen. You’ll look younger and your skin will feel soft, firm and supple in just one treatment. This treatment is painless while the cooling system leaves your skin refreshed. This treatment utilizes the E-Light which combines three advanced technologies: Bipolar Radio Frequency + IPL +Skin Contact Cooling. The energy of Radio Frequency reaches the middle and deep layers of the skin and heats up tissue, thus, lower energy is applied during the IPL treatment. This results in a more comfortable experience compared to normal IPL treatments while the cooling system leaves you fresh. 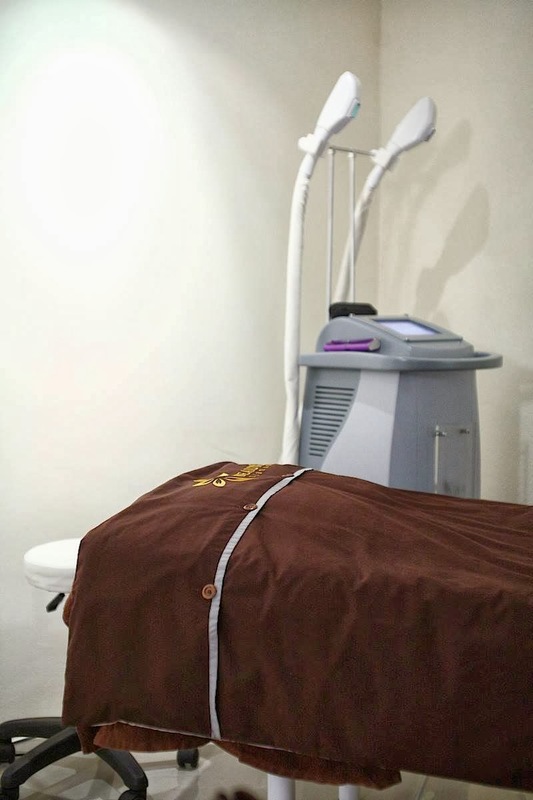 The Beaute Cool Light Permanent Hair Removal Treatment leaves you with no uncomfortable feeling, and is a painless hair removal treatment with no side effects and is suitable for all skin types. Hair removal usually requires multiple treatments. For some people 2-3 treatments are sufficient, however, black or white hair responds at varying rates. Most patients receive treatments until they achieve their desired result. Skin rejuvenation treatments are administered once every four weeks. Age, ethnicity, weight, hormones, diet, medication, metabolism and sun exposure all plays a part in the skin’s condition. Usually, 3-5 treatments are sufficient, depending on the areas treated, expectations and goals. It is totally painless while the cooling system leave you refreshing. We are actually quite amazed with the after-result of Kay's skin lifting treatment. The Beauté Cool Light treatment is currently available in all Beauté Library outlets and there’s even a special promotion for it. A stressful lifestyle and an unhealthy diet can lead to poor blood circulation and disrupt lymphatic drainage; that in turn affects how toxins are eliminated from our bodies. Symptoms of toxin accumulation in our bodies include fatigue, poor complexion and weight gain which is why detoxifying is so important to one’s wellbeing. This innovative program combines detoxification with weight loss in one treatment. If you are looking to maintain a healthy body shape while keeping your curves intact, then this is the treatment for you. It also helps prevent sagging skin, reduces cellulite, provides relief from constipation, reduce water retention and varicose veins. 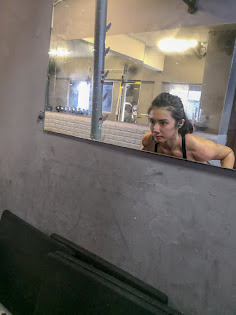 This program helps you to achieve a sculpted, toned and defined silhouette with treatments that targets and breaks down stubborn, stored fat in the body, and boost the body’s metabolic rate to continue the fat burning process. Your overall body appearance will be firmer, taut and toned. Skin is lifted, resulting in younger looking body. You will also benefit from reduced cellulite appearance, less muscle fatigue, and improved cell metabolism. This facial treatment is specially designed for tired, dull, fatigued skin. This facial goes to work at the root source of poor skin problems by targeting baby cell renewal. 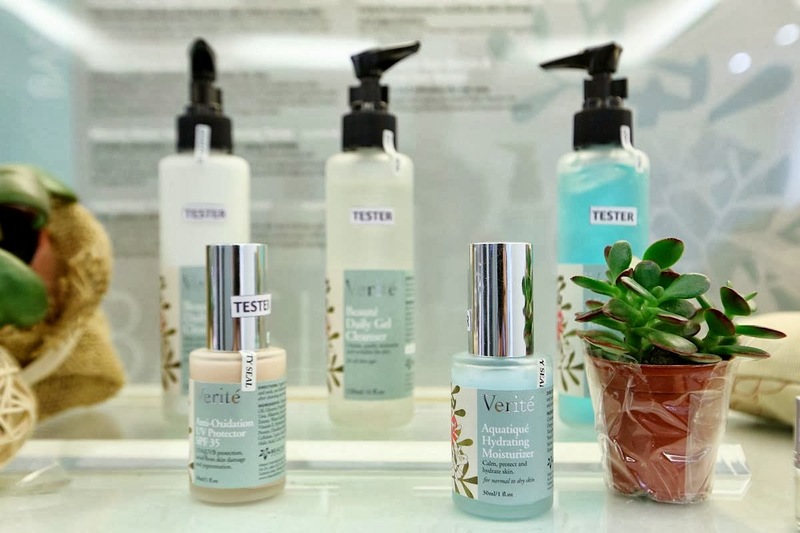 After conducting a thorough assessment of the customer’s skin condition, the Beauté Librarians will customise the treatment unique to the skin concerns. The treatment includes double cleansing, exfoliation, extraction, facial massage, mask and eyebrow shaping. Customers may also opt to supplement the facial with specialised machine or products. After treatment, skin pigmentation is lightened, wrinkles are plumped up and acne is reduced. I learned a lot from this visit as I didn't have much knowledge on all these. What I have is just some basic knowledge. To be frank, which girl doesn't want to be prettier? Which girl doesn't want to keep their youthfulness for as long as they can be? So, Why not trying treatments which use natural ingredients that do not contain any harmful substances? No. 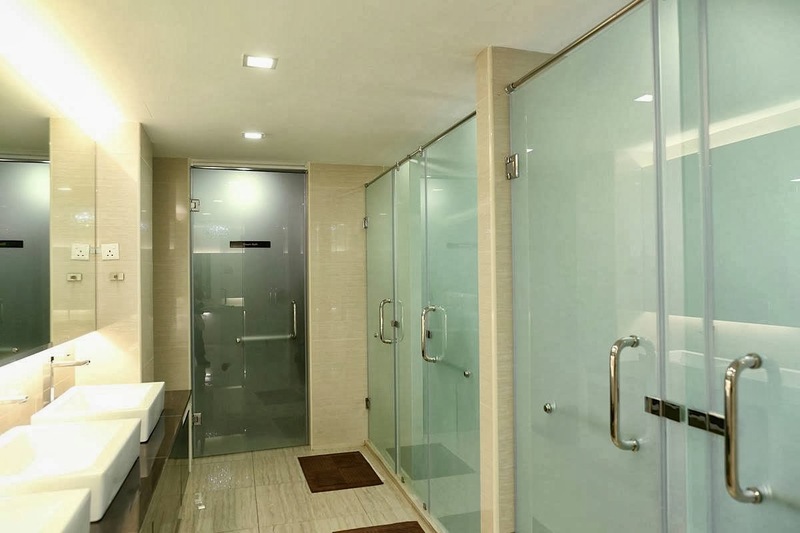 6, Vista Magna, Jalan Prima Metro Prima, 52100 Kuala Lumpur. 57-G The Boulevard, Mid Valley City, Lingkaran Syed Putra 59200 Kuala Lumpur. 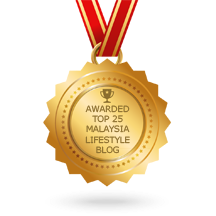 No 24, Jalan USJ 10/1E, 47620 Subang Jaya, Selangor Darul Ehsan, Selangor. ADV - MHB Visits Beaute Library.